A road reserve is a legally described area within which facilities such as utility lines, roads, footpaths, and associated features may be constructed for public travel. There’s a problem in towns of road reserve encroachment which has become a challenge to deal with as there is resistance from the public in general. 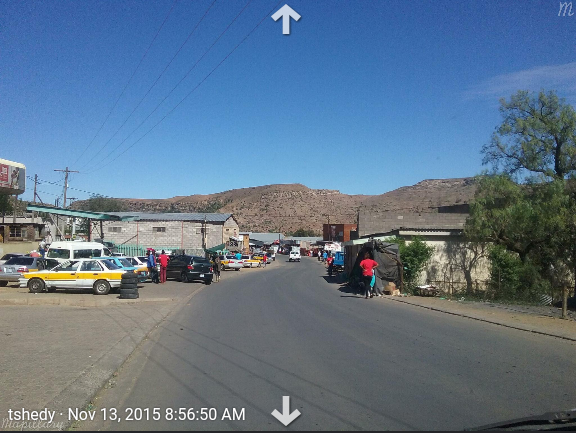 Quthing town, Moyeni(Lower) has single street, and buildings, either residential or commercial have encroached into the road reserve such that plans to expand the road are impossible. Example is in the picture below where we see cars parked on pavements where pedestrians are supposed to be walking, and expansion of the road is impossible what so ever. There are regulations for that but are not followed as few people seem to adhere to planning requirements. Building regulations prohibits the construction of structure 30 meters from the road center line along class A roads, as well as major class B roads. Also the regulations prohibits construction of structures 20 meters from road center in minor class B, class C and D.
The picture below is of Lower Moyeni. The commercial area of Quthing. 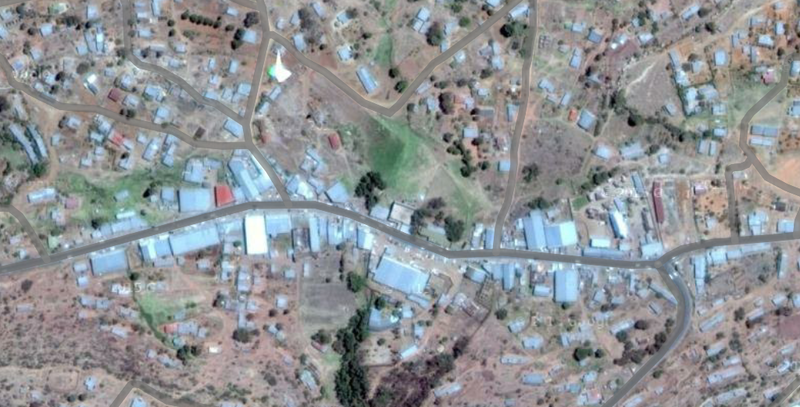 [caption id=”attachment_1808” align=”alignnone” width=”1024”] Satellite View of Lower Moyeni[/caption]To show the seriousness of encroachment in the road reserve at Lower Moyeni commercial area I used QGIS to show buildings that are in the 20 meters buffer of secondary road in the picture below. Polygons which are deep green in colour illustrates buildings in the road reserve which is shown in a brownish colour. There are a number of reasons why people build in the road reserves. Thus, people want a house or any structure in an accessible location, and preferably near the access roads. Moyeni has few access roads which could be seen as one short fall for that small town causing people to occupy road reserves. Poor urban planning is another reason. Towns and settlements grow haphazardly, with building concentrated along the road. People go ahead and put on structures without any consultation from planning authorities. There are risks to this, as such areas are prone to accidents, property could be destroyed, less privacy and people may be injured or loss of lives. Living far from road reserves can minimise accidents. 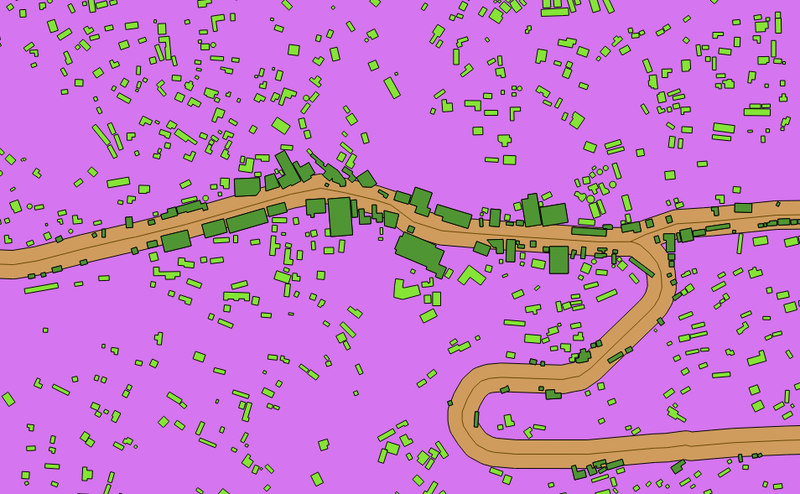 OpenStreetMap being an open source and free to use gives anyone chance to create maps and use apps like Mapbox, and so can be of much help in planning towns and villages. Making sure there are road access everywhere.